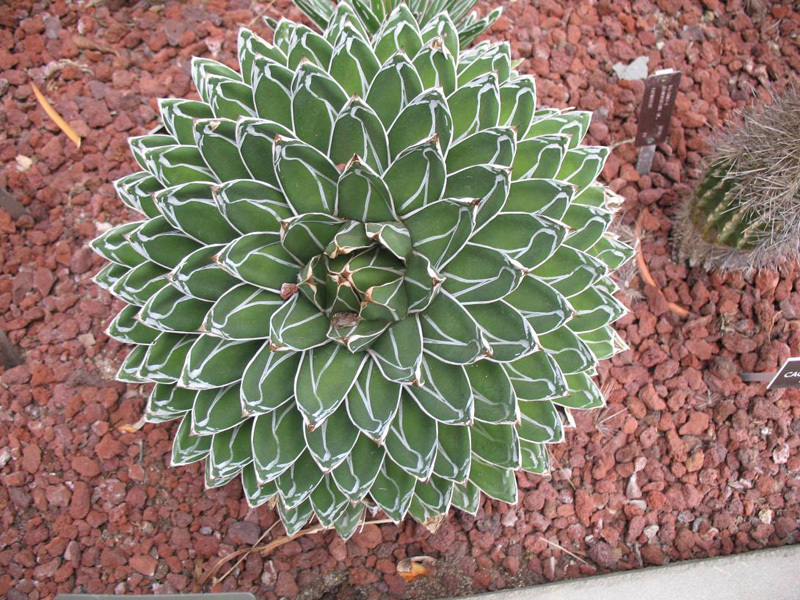 Comments: A slow growing, drought tolerant succulent that makes an excellent container plant and grows well in well drained ground beds. It can stand temperatures down to about 10 degrees F. Cream colored flowers are produced when plant is 20 to 30 years old and then the plant dies. A slow growing, drought tolerant succulent that can tolerate temperatures down to 10 degrees F. An excellent choice for growing in containers as well as in well drained ground beds. Cream flowers bloom in spring and summer on a tall stem when plant is 20 to 30 years old, after which it dies.